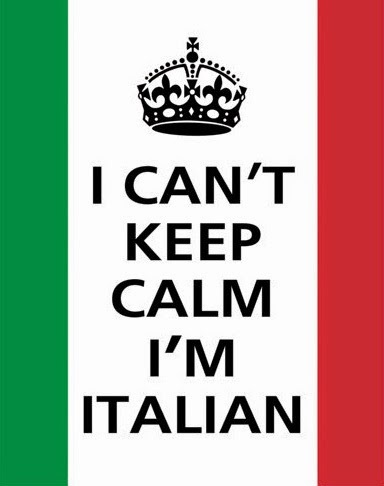 Friday File: Giro d'ltalia: I Can't Keep Calm I'm Italian, Looking forward to some North Shore grinding. The 98th Giro d'ltalia begins Saturday and San Remo (above image) is ready for stage one; the 17.6km TTT. I'm going for the strong TTT team of Orica-GreenEdge to take the first stage and first maglia rosa. Unfortunately they won't have the services of TT strongman, Svein Tuft who is resting after his run in with a nasty guard rail during the Tour of Romandie. Last year, on May 9, he celebrated his 37th birthday in the maglia rosa after Orica won the opening TTT. For Tuft, a tough break he'll have to sit out but on the horizon he'll get his chance at this favorite discipline the TTT. 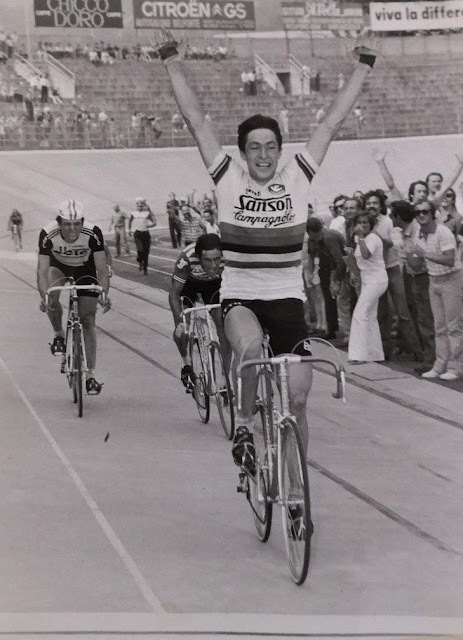 His new plans are to go on to the Tour de France and concentrate his special abilities at the stage 9 TTT, Vannes to Plumelec and the TTT at the Richmond Road World Championships. I think he can win both races. 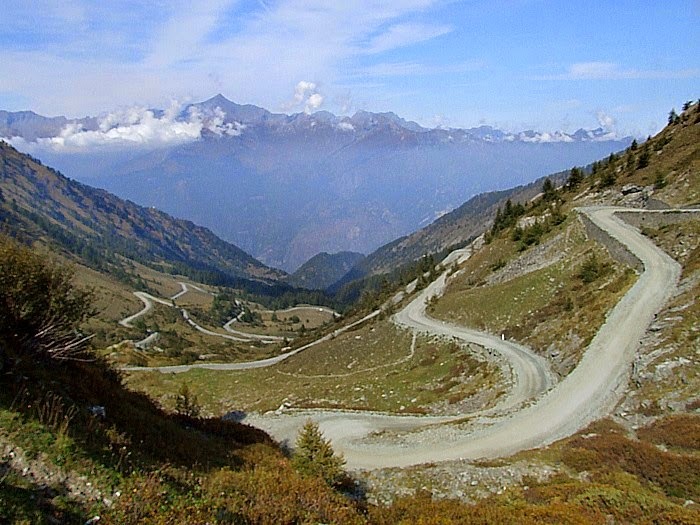 Thank heavens to the organizers for including the gravel road to the Colle delle Finestre. 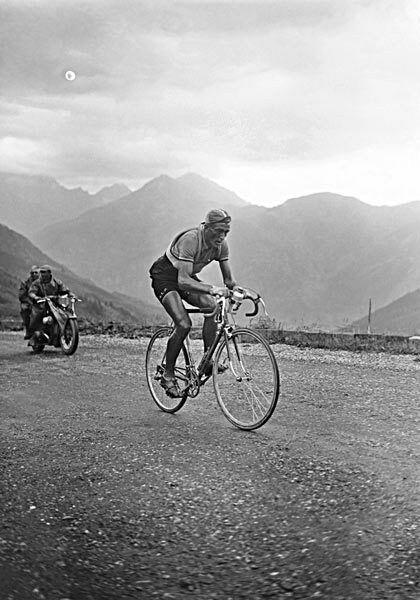 The final mountain to climb up to and especially interesting is the Cima Coppi: Colle delle Finestre averages 9.1% for 18 kms, 2178 metres. This will mark the 50th anniversary of the Cima Coppi, since 1965 - in honor of Fausto Coppi. 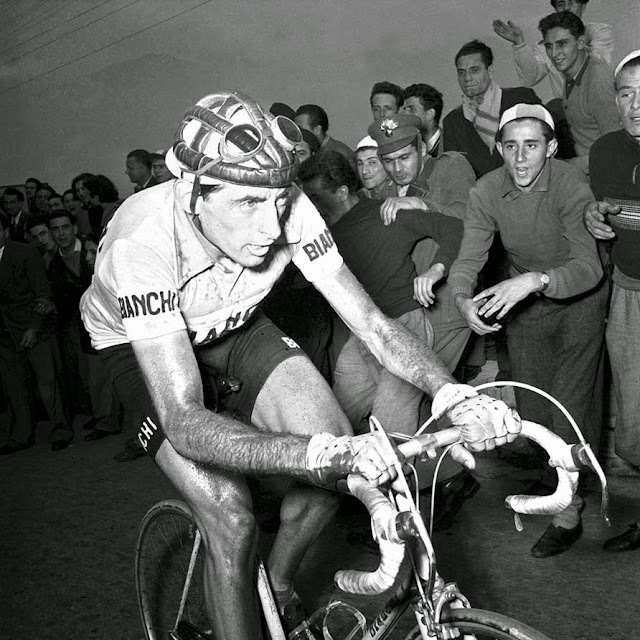 Coppi spreading his wings for the tifosi. 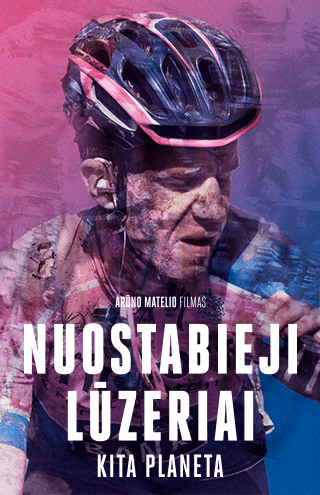 The pre-race favorites; Alberto, Richie, Rigoberto, Fabio and Domenico are standing by... and so am I, eager to watch the first grand tour of the season! 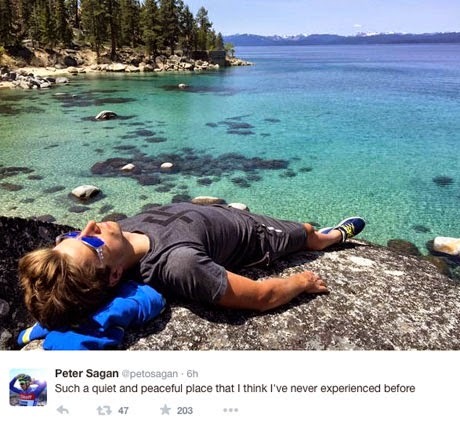 First and foremost; Lake Tahoe vacation. My upcoming new 13-29T cassette means grinding upwards will be a more humane experience. I've been riding with standard cranks for many years and since trying to tackle the steep North Shore mountains - well it's been a grind. It's not the 39T chainring that's causing the stir (in my legs) but pairing it alongside with the 11-25T cassette. My lowest gear is 41. The upshot is that I'm awaiting my new 13-29T cassette to arrive. 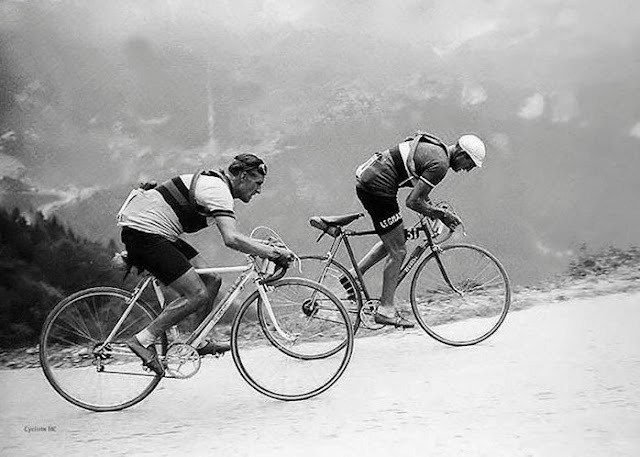 That means I'll have the easier advantage of climbing with a low gear of around 35. Mt. Seymour, Indian Arm, Cypress... look out. I'll have a full review upcoming as our FRFuggitivi rides will hit the mountains... and I might just actually like it! 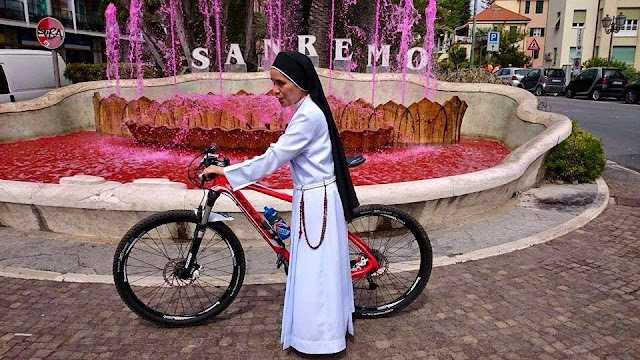 Very glad it's Giro Time!